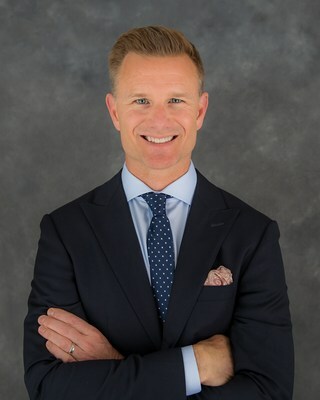 LAS VEGAS, April 8, 2019 /PRNewswire/ -- AGS (NYSE: AGS) (or the "Company") today announced that Adam Whitehurst is joining the Company as Vice President of Strategic Accounts. Whitehurst joins AGS with 24 years of experience in gaming, technology, and pharmaceuticals. AGS Senior Vice President of Sales Robert Perry said, "Adam is an exceptional addition to the AGS team and will help drive further penetration of our slot products across the U.S., with a laser-focus on leveraging his strong relationships with strategic and corporate accounts. He has an impressive track record of establishing and maintaining longstanding, trusted partnerships with casino operators, and his experience will play a major role in taking AGS to the next level of growth. I'm thrilled to have him join our team." Whitehurst said, "I can't think of a better time to join AGS. The Company is on fire with a fast-growing library of slot content and cabinets consistently ranked among the highest-performing games. The senior leadership is top-notch and focused on doing all the right things to grow the business, and the AGS culture is unmatched in our industry for its focus on transparency, leader accessibility, communication, diversity, teamwork, and ownership. I'm honored and excited to join a company that truly makes customers and employees feel valued, heard, and recognized." AGS is a global company focused on creating a diverse mix of entertaining gaming experiences for every kind of player. Our roots are firmly planted in the Class II Native American gaming market, but our customer-centric culture and growth have helped us branch out to become a leading all-inclusive commercial gaming supplier. Powered by high-performing Class II and Class III slot products, an expansive table products portfolio, real-money gaming platforms and content, highly rated social casino solutions for operators and players, and best-in-class service, we offer an unmatched value proposition for our casino partners. Learn more at www.playags.com .